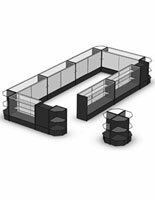 These black display case configurations are great for any store floor because of their neutral, professional design. 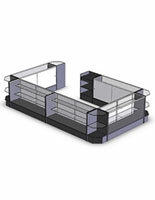 Each set features tempered glass shelves that are height adjustable for accommodating different merchandise. 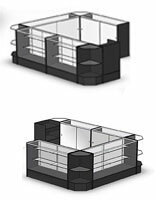 The display case configurations also feature glass countertops and front panels that keep all items highly visible. 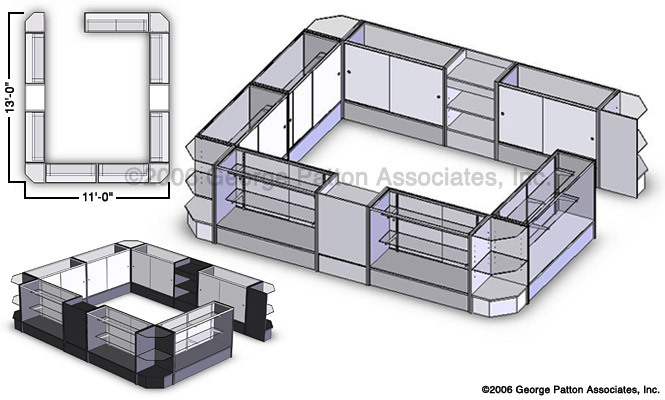 The kits with height adjustable shelving are made with durable particle board with a dark laminate. 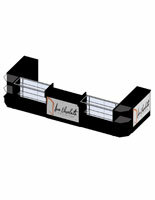 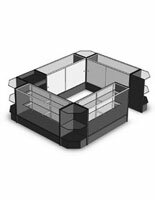 The store floor configurations include two register stands, four corner units, six 48" wide and one 60" wide cabinet. 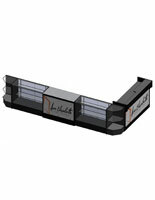 The kits feature pull-out drawers and sliding, locking doors. 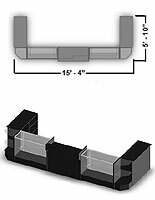 156.0" x 38.0" x 132.0"